When you visit Coconut Grove Dental, you are given personalized attention. We never rush you through an appointment, and we spend quite a bit of time talking with you each time you’re in the office. Dr. Fontecilla is committed to patient education, and she always explains your dental treatment options in full detail. 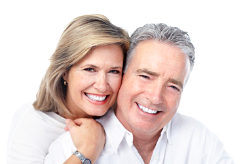 If you're looking for dentures in Miami, FL, Coconut Grove Dental is the only name you can rely on. We take great pride in our work, affordability, and flexibility. When it comes to cosmetic dentistry, no one can approach our level of dedication. You can trust us with your teeth. Our skills are unmatched and you always get value for the price. We offer a great deal in porcelain veneers because you deserve nothing less. Let us know what you need and how we can help with teeth whitening services. If you have any questions or concerns, just ask!